At INFINITI of Boerne, we are in the business of building long-lasting relationships. Our mission statement, “we live to provide exceptional care,” defines who we are and how we want to treat our customers and each other. We believe high quality care and integrity are general principles that every customer should experience. We understand the importance of taking care of our associates and maintaining the unique culture that fosters exceptional customer care. We are a Principle Auto retailer, and we are locally owned and operated. 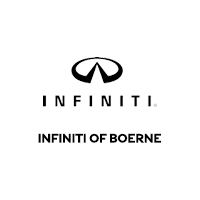 Whether you are in the market for a new INFINITI or used, INFINITI of Boerne welcomes you to stop by and visit with us.